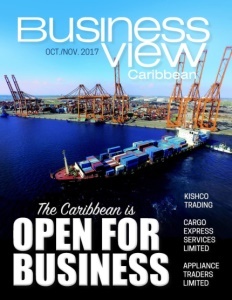 Business View Caribbean interviews Sahil Mahtani, General Manager/Owner of Kishco Trading Ltd., as part of our focus on Best Practices in Caribbean Businesses. 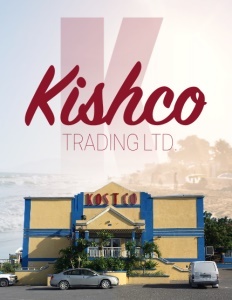 Kishco Trading Ltd. was created through a mix of opportunity and vision. Today, a large, respected purveyor of household goods in the Turks and Caicos Islands (TCI), it all began as a giant leap of faith 20 years ago by a brave entrepreneurial couple. In 1997, on the advice of a supplier, retail store owners Chandru and Sunita Mahtani planned a getaway to Jamaica and the Turks and Caicos to escape the stressful economic situation they’d been experiencing in Chile. At that point, the business environment in Turks and Caicos consisted of a couple of hotels, a Mexican restaurant, a Chinese restaurant, and a lifestyle of ease. Agriculture was basically non-existent, given that the soil is limestone rock. Everything had to be imported. Despite the proximity to Miami, the Bahamas, the Dominican Republic (DR), and Haiti, the low volume of goods being brought in to TCI meant freight costs were amazingly high. Even so, the Mahtanis decided to close shop in economically challenged Chile and start over in the Turks and Caicos. They began by renting a small store in Providenciales – one of the only commercial buildings in existence at that time – and imported vegetables, water, and other beverages from the DR and sold them at reasonable prices. Kishco expanded into electronics and appliances, reducing their clients’ cost of living and increasing the general standard of living in the TCI Islands. They invested in a boat for the vegetable haul from the DR; opened a second location in Grand Turk in 1998; and developed Kishco into a household name in Turks and Caicos. BVM: Was the company’s evolution by master vision, or circumstance, or opportunity? SM: “I think the initial vision was to become a one-stop shop for the people of the Turks and Caicos. The speed of growth of the Turks and Caicos in the late 1990s and early 2000s was very unexpected given how undeveloped the Islands were at that time. BVM: What is your customer base, and what are your prime revenue drivers? SM: “We try to cover the full gamut of residential and commercial solutions. Our clients range from million-dollar villa owners to our valued everyday local client. We are the leaders in furniture, electronics, and appliances here. We represent GE Appliances, Ashley Furniture, many restaurant equipment brands, and are starting to build our wine and spirits portfolio. “We all do a little of everything. Times are changing, and you need to be as versatile as ever, and adapt. I ask myself all the time: What can we do to increase revenue in this ever-competitive world? My current project is implementing a staff training program. I started my career working at Cartier in New York and the training programs that Cartier uses for its employees is unbelievable and, subconsciously, so effective. I was grateful to have the opportunity to undergo this training. I took the fundamentals they taught me and developed my own methods. 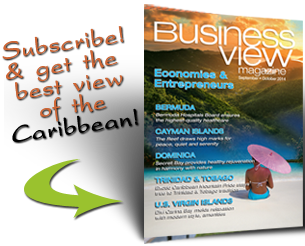 BVM: Is competition an issue on Turks and Caicos? SM: “Yes. This is a challenge we’ve taken on, since so much competition is now in the market. Our answer was to differentiate the products in the stores that were close to each other. We have locked in brands that are well represented, and started to change our product line with suppliers that will sell to us exclusively and semi-exclusively. Our products are all new. We don’t stock any refurb anymore, which is available at other vendors in the islands (and they don’t even disclose they’re selling refurb). BVM: Are there any long-term business relationships that you feel have contributed to your success? BVM: Does the Kishco/Kostco retail business have expansions, efficiency upgrades, new facilities on the planning board? BVM: Five years out, what are the company’s priorities and significant objectives?